Latent fingerprints are, by definition, left unintentionally and are obtained using diverse physical and chemical techniques. It follows that the initial fingerprint image quality can be very poor. As such, these images are unsuitable for feature marking and entry into database and identification software. To address this problem forensics analysts use image enhancement to amplify the fingerprint image quality and to diminish obscuring features. This process is critical to subsequent analysis, and "before and after" comparisons are striking for the information that image enhancement process reveals. Nevertheless, while considerable research investigates new chemical and physical techniques to obtain images and analyzes fingerprint marking and identification algorithms, analysis of the intermediate image enhancement process generally has been overlooked. Our research will focus on this under explored link in forensic analysis with a goal to increase its systematic characterization and reproducibility. Image metrics and well-defined algorithms will be researched and developed to analyze and quantify the image transformation processes applied by forensic scientists in the context of latent fingerprint analysis. The research will focus on two principal aspects. 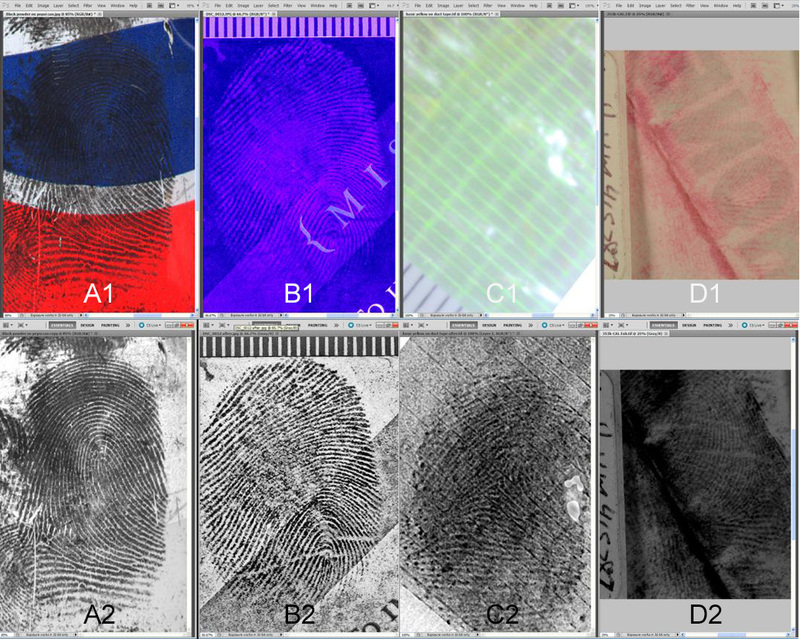 The deliverables from this step will consist of a systematic characterization of image transformations that, in consultation with forensics experts, have been identified as essential for latent fingerprint analysis. In addition to a universal algorithmic description of these transformations a suite of test images will be developed to verify vendor-specific implementations. In parallel to the above, research and development of intrinsic image metrics will serve to characterize acceptable latent fingerprint image enhancements. The image enhancement transformations characterized by the above analysis will result in sets of algorithms that, while carefully specified, nevertheless exhibit control variables that may be used to tune image enhancement as required in the context of analysis of a specific image. This solution immediately raises the question of identification of the "proper" settings for these control variables. This proposal will develop quantitative metrics to characterize acceptable ranges for endpoints of latent fingerprint image enhancement processing. The research and demonstration of capabilities described herein is significant because it will give forensic analysts the ability to quantify evidence that is currently analyzed qualitatively and minimize the reliance on subjective judgment during examination. Currently many prints that could be enhanced through software are not analyzed or compared because they are deemed "of no value". Furthermore, due to the lack of quantitative techniques for image enhancement many forensic laboratories currently do not employ or allow image enhancement software. The proposed research will provide techniques and processes to potentially enable forensic labs and latent fingerprint examiners to analyze and compare more evidence. Haiying Guan, Systems Plus, Inc.